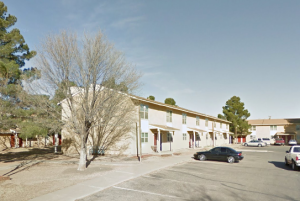 A 27-year-old young man was reportedly shot and injured at the Garden Apartments in South Lubbock Sunday morning, February 7, 2016. According to Everything Lubbock News, the victim was shot multiple times during what police believe may have been a robbery home invasion at the “Garden Apartments, located at 1346 65th Drive,” around 6:30am. The suspect apparently forced his way into the apartment and chased the victim upstairs, where the victim jumped out a second floor window to escape his attacker. Police have not yet identified the gunman, apparently leaving residents concerned for the safety of their families. A neighbor, and mother of three, reportedly told media there has been “plenty of crime” in the neighborhood recently. Per media reports, an 18-year-old boy was fatally shot in the vicinity only a month prior. “I am scared for my boys to come out, because bullets have come through my backdoor sometimes,” the neighbor explained. Residents and guests of apartment complexes have a right to feel safe and secure within the community. The Murray Law Firm questions the level of security provided to residents of the apartment complex and whether this harrowing assault may have been prevented. How did the gunman gain entry to the property? What security measures, such as bright lighting, surveillance cameras and security patrols, were in place at the time of the shooting to protect residents and deter crime? Were any additional security precautions implemented by the complex owner or management?